Can a company ever have too much branded content? The statistics seem to indicate that the answer is no way. In spite of the fact that corporate spend on content marketing will exceed $118.4 billion dollars in 2013, 64% of B2B marketers struggle to produce enough blog articles, eBooks, social media posts, and video to meet consumers’ demand. Getting the most mileage possible out of custom content is a true challenge professionals are facing every day. It’s clear that the solution isn’t opting to drop the quality of your blog posts. Executive Marketing Writer Ted Karczewski states that “quantity is certainly not as important as quality.” 80% of business decision makers choose to educate themselves on solutions by reading branded articles. If your marketing isn’t offering value that they can’t get elsewhere, they’ll likely head to your competitors’ website for more insight. The answer isn’t easy, but part of the solution is learning how to repurpose content into fresh, compelling and targeted ideas. The introduction to that carefully-researched eBook or whitepaper your company just published probably summarizes the entire project and builds suspense in a few paragraphs. You’d be surprised at how effective repurposing your eBook introductions or chapters into blog articles can be. Creating high-quality content offers of significant length can take time, but you don’t need to start from scratch. Draft an outline with logical flow and structure, and reuse content you’ve previously published to fill in the holes. Informational videos made by other brands in your niche can be a fabulous starting place for blog articles, and it could even boost your SEO. Posts with videos can attract 300% more inbound links than simple text. Tasks that you do on a daily basis might be valuable information to your audience. Film your monitor while you’re hard at work, and utilize it for an informational screencast. Repurposing content from your eBooks to attract a new target audience could significantly improve your content’s exposure. Companies who increase their total landing pages from 10 to 15 see a 55% increase in fresh leads. We all receive questions on a daily basis in our blog comments, on social media channels and in interactions. Start simply copy-and-pasting the questions and answers into a document, which can serve as the perfect starting-point for all styles of content. 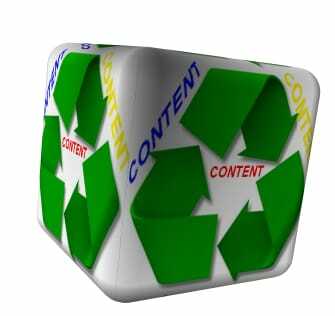 While your audience will notice if you repurpose content articles that are too similar, changing formats can keep repurposed content fresh. Marketer Mary Ellen Slayter suggests repurposing quotations from expert interviews for blog articles on industry trends. You might not have to look very far for the perfect content to curate for your social media channels. 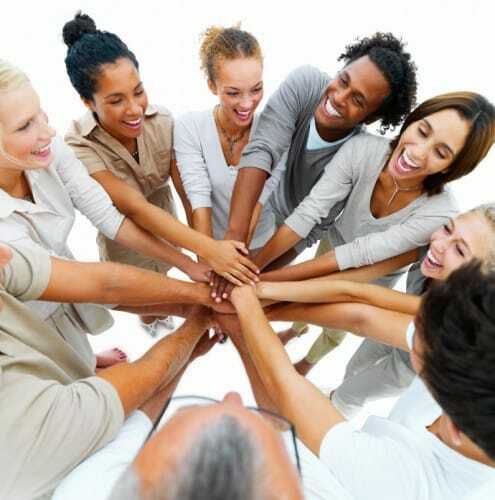 Ask your colleagues to share content they write and awards they win, as a way to showcase your brand personality. Between awesome SEO and 60 million visitors monthly, Slideshare is a social media network that content creators overlook too often. Repurpose content from your presentations or consider converting eBooks into powerpoints to upload. Reading an 800-word blog article out loud should take around 6 minutes, which is the perfect length for a bite-sized podcast. Utilize high-performing articles from the past to reach new audiences. Providing your prospects with relevant content via email has been shown to lead to a 20% increase in sales opportunities. Dig through your archives to find your most compelling articles and eBooks from years past to send to your leads. Summarize webinars your company offers into blog articles. Not only is your research done, it’s a fabulous way to promote your multi-media content on the blog. With slight modifications, your presentations or slideshows can be converted into PDF format and used for eBooks. Some content creators even opt for Powerpoint instead of the Adobe Suite for designing offers. Promote your best, evergreen blog articles by using powerful quotations from the text in lieu of titles in your Tweets and Facebook posts. Remember that time you wrote a blog post that covered 5 best practices? With a little bit of research, you could turn the concept into a five-part series of blog articles that cover topics in more depth. Quotations from happy customers are pure gold. With their permission, you don’t have to just put them up on your website. Feature their success stories in your content strategy with blog articles, case studies, or as social media quotations. Don’t keep your successful strategy for repurposing your content marketing a secret! Share what’s worked well and not-so-well for your brand in the comments!